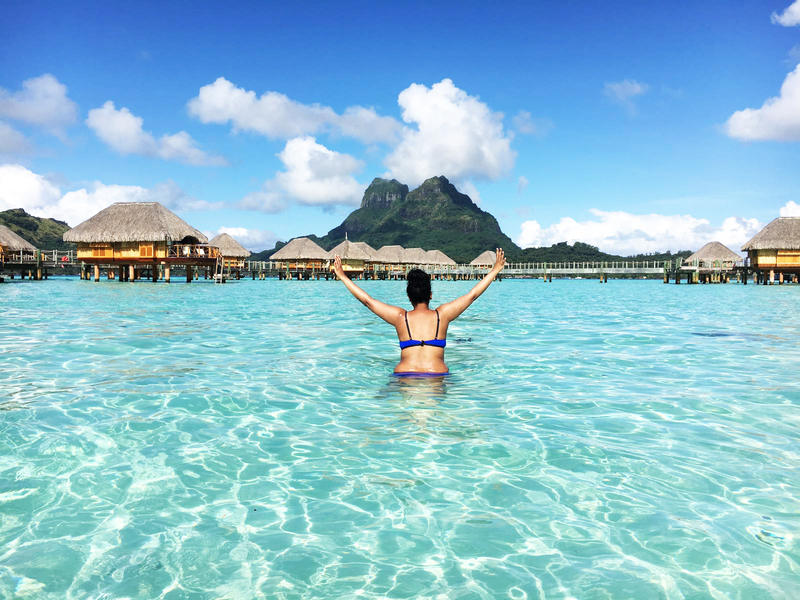 Because we’d like to keep things positive on packyoursuitcases.com, we have made a list of the things you should do when visiting Bora Bora. 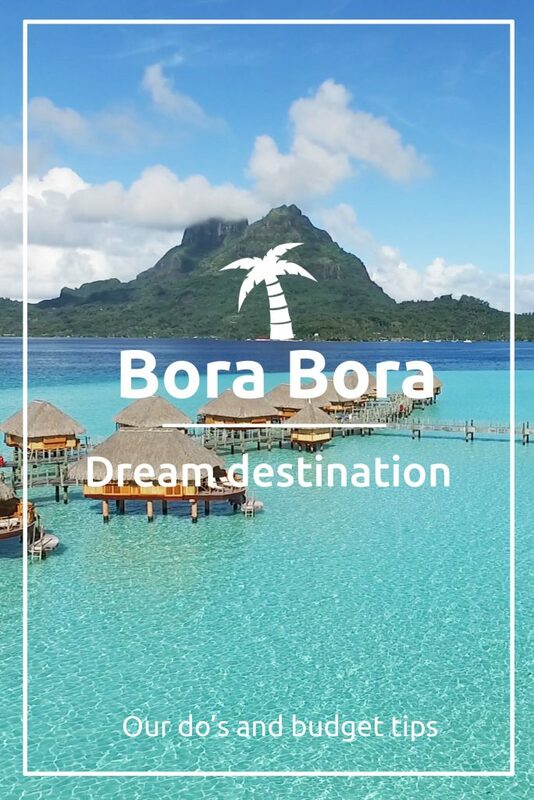 For most people, just like us, Bora Bora is on top of their travel bucket list. When you finally get there, you’ll want to make the most out of your time there. And since Bora Bora is one of the most expensive destinations in the world, we are giving you some budget tips as well. Get a meal plan: If you are staying in one of the fancy resorts, we recommend getting a meal plan. Prices for food and drinks can be very high in Bora Bora. Don’t be surprised if they charge you 6 euro’s for a can of coke. We found that getting a meal plan helped us with our budget. 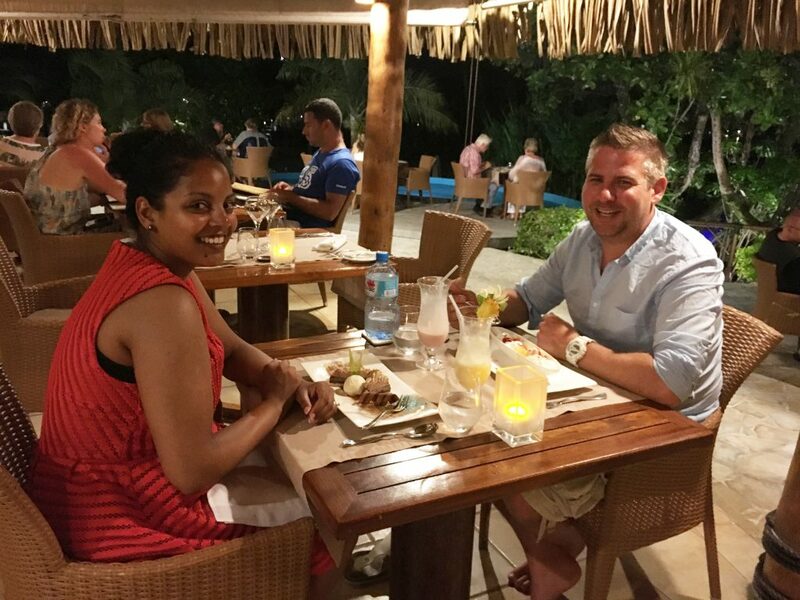 We got a meal plan on Moorea, le Taha’a and Bora Bora. 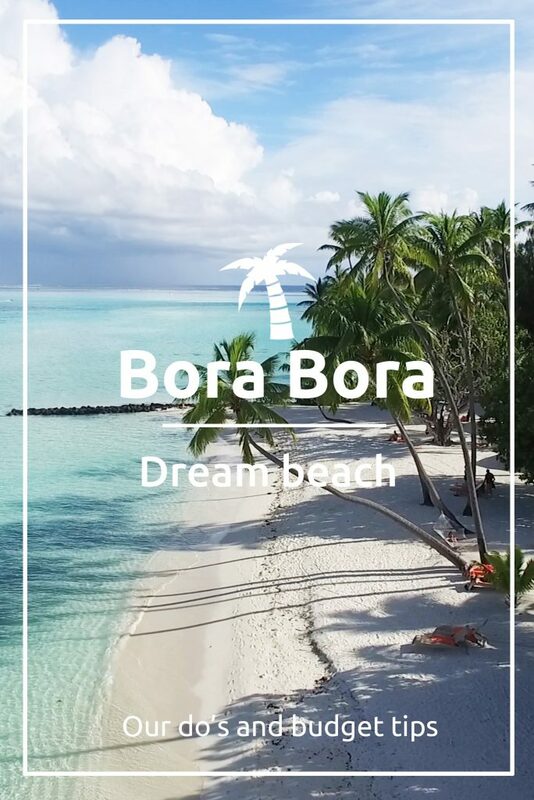 The Bora Bora meal plan consisted of a buffet breakfast and a 2 course dinner (where you could choose between a starter and main course or a main course and dessert). Drinks however were not included in the meal plan, so keep that in mind when working out your budget. Go to the main island: we went to the main island twice while staying in Bora Bora. We went around lunch time so we could eat there, which was much cheaper. We also got some drinks and snacks at the local supermarket so we didn’t have to buy those at the resort. 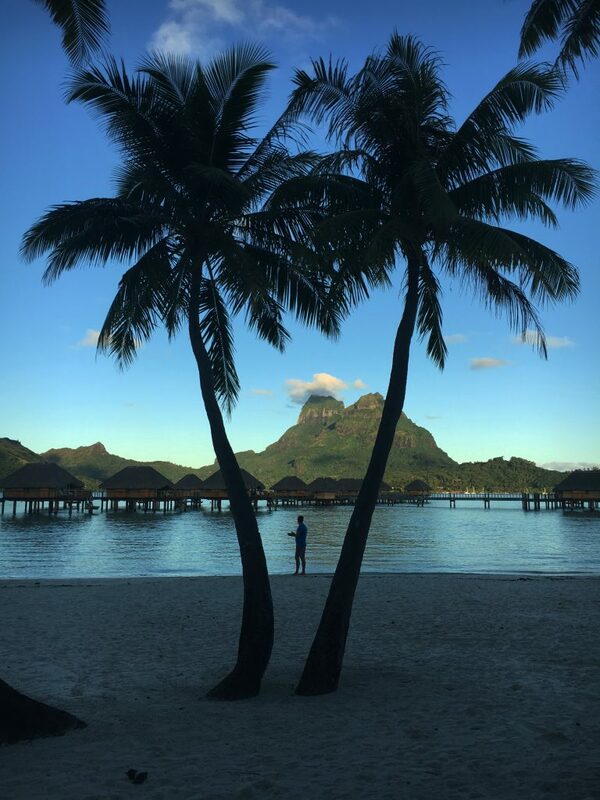 We loved seeing the local people on the main island and experiencing Bora Bora daily life. We also got some souvenirs there (which were way cheaper than at the resort as well). When booking your stay at a resort, make sure they provide a (complimentary) boat ride to the main island. 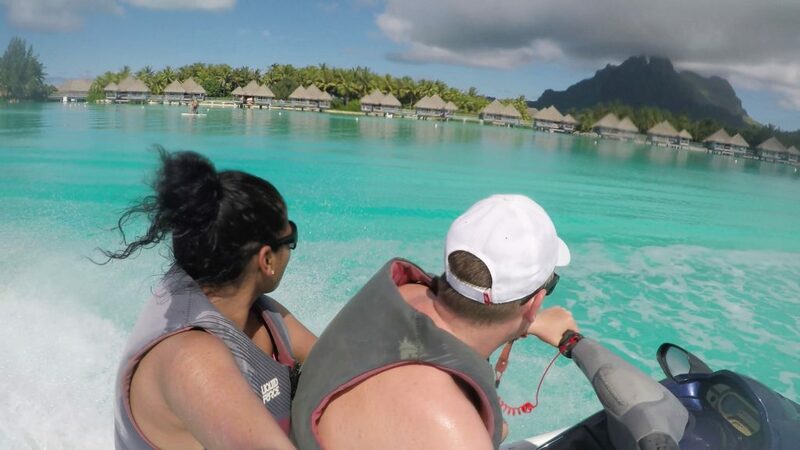 Book a jetski tour excursion: as to be expected, excursions on Bora Bora can be quite expensive as well. However, we encourage you to do at least one and that is the jetski tour. During this 2 hour excursion you will follow a guide on a jetski around the entire island. You’ll make some stops to take pictures and learn about local life (like how to open a coconut). We had an amazing time during our jetski excursion which you can see in our Bora Bora honeymoon video: https://www.youtube.com/watch?v=3K7mCg6HPfA&t=162s Be sure to watch until the end for a surprise visit by some dolphins! Get enough memory for your camera: this might seem like a very obvious tip, but be sure to bring enough memory for your camera. You are probably going to take a lot of pictures and if you don’t bring a laptop with you, you’ll run out of memory fast! We found that the computers at the hotels were sometimes outdated or their wasn’t a computer available for guests. Luckily we brought a lot of extra memory cards which was much lighter than a laptop. We also found travelling without a laptop more convenient since we had heavy camera equipment with us and were travelling between the islands. Enjoy yourself: our last tip is to enjoy yourself! You finally made it to Bora Bora so treat yourself to a massage or an expensive cocktail. You won’t know if you’ll ever make it back to this beautiful destination. So sit back, relax and put away your camera for a second to take it all in! Dinner with a meal plan. 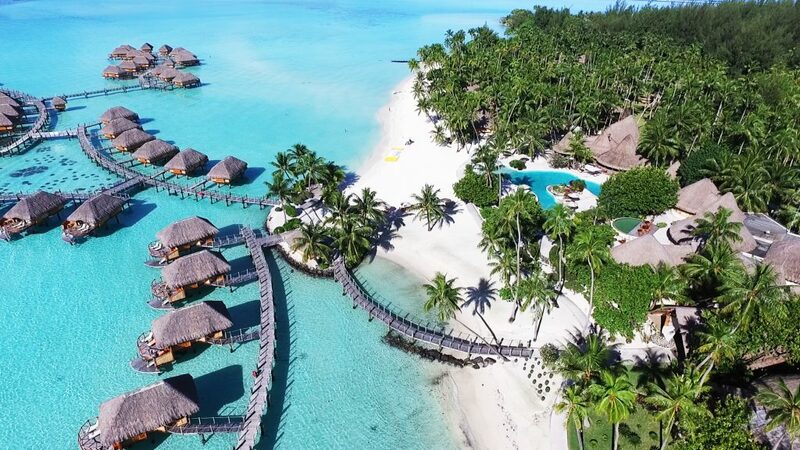 Bora bora pearl beach resort. The iconic view of mount Otemanu. Take a flight on Icelandair’s ‘coolest’ airplane ever! How to survive a long layover at the airport!